“Since Kriško joins the game first in January and is waiting for us to join the Champions League, so we needed to strengthen the smear post in agreement with the coach.We have good contacts in Poland, so we’ve reached a few managers, we got some tips and Stolc came out to us as the best choice, “said the director of the Liberec club, Pavel Šimoníček, with the fact that with Polish support he concluded the contract by the end of the season. The talented Stolc kicked off in Kędzierzyn last season, but in December he was lent for five months to another club from the top Efekt of Kielce competition. For Liberec’s coach Nekole, the enlargement of the smechers is important. “We did not have the chance to make any adequate substitution in the event if one of the pair did not succeed. We are already on the bench ready to make a change to help the team, “he looks forward to Michal Nekol. Liberec volleyball players who defend the titles of the last two years are currently in the extralize surprisingly up to eighth with a balance of four wins and four defeats. “The beginning of the season was complicated for Dukla and it did not come out very much, but I believe that we will get out of the tough situation as soon as possible, everything will return to normal and we will be in the table above.But the main one will of course be a play-off, that’s another competition, “says Stolc. 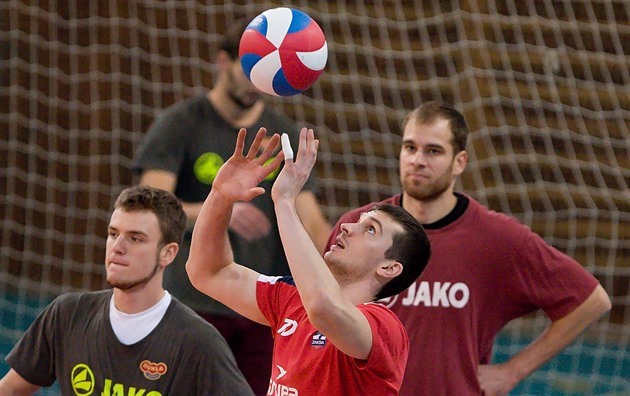 Men’s volleyball in Poland is currently on the rise. The two-year-olds became world champions two years ago, the European Championship will take place next year, and three Polish clubs will start in the core groups of this year’s Champions League. That is why volleyball is very popular and the domestic competition is very popular with fans who fill the big halls. This is a lot less in the Czech Republic for extralig fans.